With its size of only 96 square kilometers, the island of St. Maarten is famous for the fact that it is split in half, being French on one side and Dutch on the other. One half, St. Maarten, is an autonomous country within the Kingdom of the Netherlands; the other, St. Martin, is a French Overseas Territory. Physically, the west end is an atoll of low land surrounding a lagoon, while the east end is a range of conical hills. The island has white sandy beaches and numerous bays. 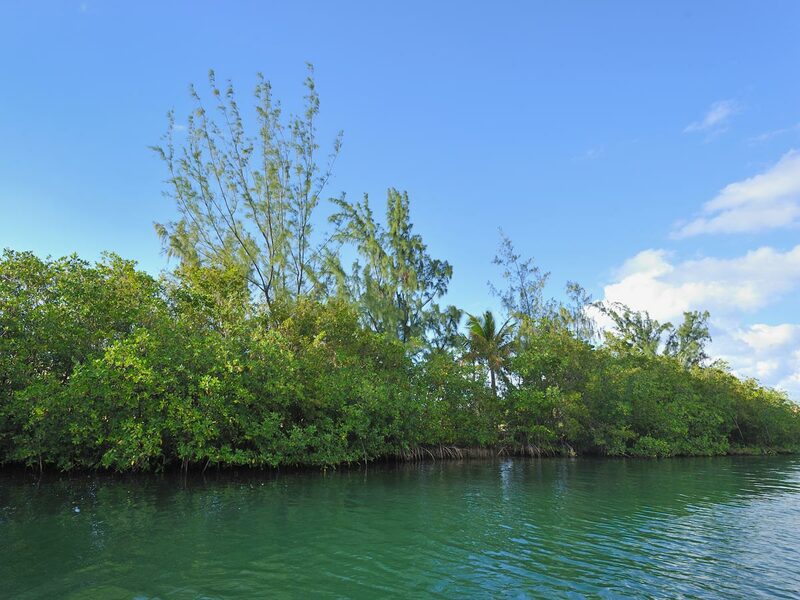 A lagoon and three brackish ponds are home to all four species of mangrove. Patch reefs are found approximately 2 kilometers (~1.2 miles) offshore in waters as shallow as 15 meters (~49 feet). The reefs include 20 species of coral that are breeding grounds for many coral reef fish and invertebrates. Seagrass beds that extend from Great Bay to Cupecoy Beach are vital breeding grounds for lobster and conch and help with coastal stabilization, hurricane protection and increase water quality. The Dutch Caribbean’s youngest protected area, the Man of War Shoal Marine Park includes the island’s most important reefs and provides a safe haven for sharks, sea turtles and hundreds of species of fish. It includes not only a range of habitats from coral reefs to seagrass beds and open water, but also the Proselyte Reef, which was named after the HMS Proselyte, a 32- gun frigate that struck the “Man of War Shoal” on September 4th 1801. On the 12th of October 2011 the government of St. Maarten issued a temporary moratorium on shark fishing. The shark fishing moratorium prohibits the take and landing of sharks and requires immediate release of incidentally caught sharks, under penalty of a maximum of 500,000 Antillean Guilders or 3 months in prison. The Marine Park is managed by the Nature Foundation St. Maarten, which is a non-governmental/non-profit organization, working to promote conservation of St. Maarten’s environment. The Foundation was established in January 1997 as an Island Government initiative and is guided by the laws of the former Netherlands Antilles. Its primary concern is to preserve and enhance the natural environment of St. Maarten through proper management, education, public awareness, law enforcement, scientific research and monitoring relating to all aspects of the terrestrial, wetland and marine surroundings.